So a family comes across a King Cobra, but rather than running away, they stop and start filming him. It seems as if the cobra is kind of out of it and very much preoccupied with something else. Then, all of a sudden, full sized eggs start coming out of the cobra’s mouth! Not just one or two, but seven! Did the snake eat more than he could handle? Or was the snake freaked out by the family and needed to make a quick getaway? Turns out some snakes are known to throw up or spit out their food when they sense a threat. This enables them to move much quicker and getaway more easily. The problem here is this snake likely didn’t take into account that barfing up 7 eggs was going to take longer than just splitting the scene straight away! 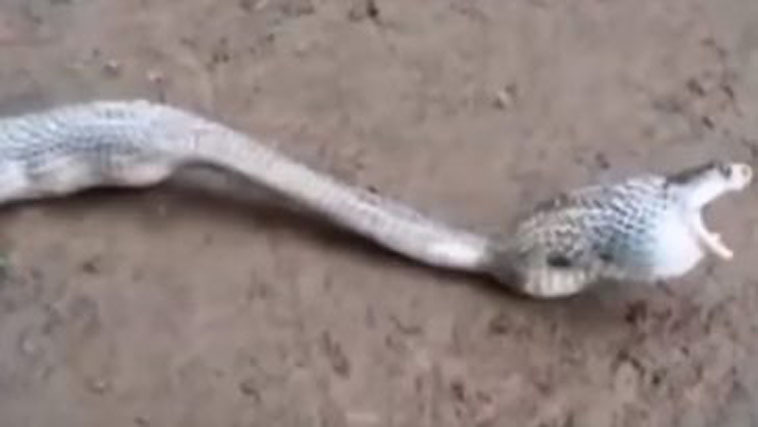 In any event, check out this wickedly bizarre video of a cobra vomiting up egg after egg!